As we age, the seemingly simple tasks we once took for granted can become much more trying. But there are changes you can make to your home’s kitchen and bathrooms that will make them more manageable to your parents and allow you to stay there longer as you get older. Remodelers can employ universal design — or “aging in place” design — that melds safe, practical and accessible conveniences with a modern and updated aesthetic. Not only will this make these rooms safer and easier to use, it could also add value to your home in case you decide to sell it. You might be asking yourself, why start with the kitchen or bath? Kitchen or bath remodels are the best projects to introduce the “aging in place” approach into your home, not only for yourself but for guests as well — even young and spry ones. We’ve all seen the statistics that accidental falls happen most frequently in kitchens and bathrooms. Many daily self-care tasks usually take place in either the kitchen or the bathroom. 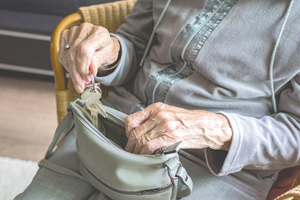 Seemingly simple tasks like preparing food, cooking, eating, cleaning, showering or bathing, using the toilet, dressing or even walking through the house can become difficult as we age. Introducing “aging in place” design can significantly improve efficiency, ease of use and safety for you and your guests. While major remodeling projects should be left to the professionals, you can assess your home to identify problem areas and consider necessary solutions. Check your bathroom and kitchen and see if you can spot areas that could be safer, more functional and more pleasing to the eye. Do you have enough light? One easy way to begin is with the lighting. If you’re living in a house that’s more than 40 or 50 years old (built in the 1970s, 1980s or earlier), chances are good the lighting may need some attention. Abundant lighting will improve safety and make the space more attractive. If it’s too dark or dingy in your home, some refreshed lighting is going to make a big difference right away. Are cabinets in reach? Closely examine the cabinets in your kitchen. Are they too high? Do you need a step stool to reach essential foods or dishes? Are the cabinets too low? Do you have to get down on your knees and stretch to grab the frying pan or electric grill? Updating and reworking the cabinets can turn a navigation nightmare into a highly functional space. Is the bathroom accessible? If your home has its living area and kitchen on the main floor with only a powder room, you may need to remodel the powder room by adding a shower and making it accessible for people of all walking abilities and in wheelchairs. Time for a remodel? We’ve only discussed a few of the problem areas, but a true “aging in place” approach will require professional assistance. Once you have assessed your home, contact a reputable remodeler with a certified aging-in-place specialist. They can design and implement solutions that will transform a once-treacherous obstacle course into a bright, easy-to-use room. It can be hard to imagine a time in your life when simply exiting a shower or making a sandwich might be a challenging experience, but acting on it now will help older family and friends make themselves at home when visiting — and increase your house’s resale value for buyers with accessibility needs. If, however, you decide to stay for the long haul, “aging in place” renovations can transform your house into a forever home. 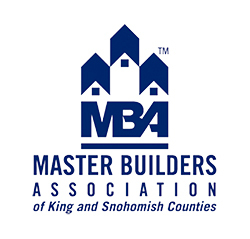 Paul Kocharhook is the owner of Pathway Design & Construction and is a member of the Master Builders Association of King and Snohomish Counties (MBAKS).